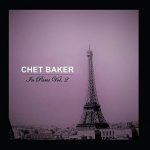 Chet BakerIn this post we’re learning about and listening to Chet Baker – another playlist entry in the Trumpet Listening Series. Start the playlist and listen along as you read this short post. 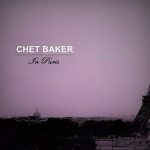 If you’re really inspired, you may be interested in the recommended Chet Baker music to add to your personal listening library. Chet Baker is one of those musicians who, for most, is simply a joy to listen to. Not that his music is necessarily joyful, though, as you’ll hear in the playlist below. Much of his music, especially the ballads, evokes a loneliness or even a pain that I imagine describes portions of his difficult life. Chet Baker gained early popularity with his good looks and trumpet playing. He played with Charlie Parker and Gerry Mulligan before forming his own quartet. Baker also added his singing voice to several of his songs, and My Funny Valentine became a signature piece for him. 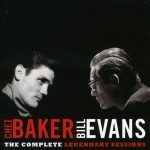 Perhaps Chet Baker doesn’t have a sound as immediately recognizable as Miles Davis or Maurice Andre (click the links for samples of their playing), his playing still demonstrates unique characteristics. 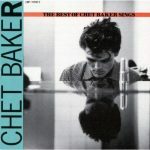 First, if you hear a trumpet player who sings on a jazz standard, you’re almost certainly listening to Chet Baker. As to the trumpet sound, note the ‘warmth’ of the tone and how he’ll often bend the pitch from one note to another. What else do you notice as you listen? Contemplate by yourself or feel free to give your description and thoughts in a comment below. Chet Baker demonstrated his versatility in a number of jazz styles, he’s well known for his ballads. My personal favorite is Almost Blue (you must hear this in the playlist), a ballad written by Elvis Costello, and was reportedly inspired by Baker’s own rendition of The Thrill Is Gone. eTrumpet Lessons partipates in the Amazon Services LLC Associates Program, an affiliate advertising program designed to provide a means for us to earn fees by linking to Amazon.com and affiliated sites. As you listen to these various melodies, try to compare what you hear to other trumpet players. For example, how is Baker’s playing different to that of Miles Davis, any other jazz trumpeter, or even classical players like Maurice Andre? I encourage you to comment below with your reactions/thoughts. Also be sure to receive future playlists and updates you’ll want to subscribe to the eTrumpet Lessons YouTube Channel.